Australian Woodwork showcases Australian made fine furniture and woodwork in native timbers. They sell handmade wooden gifts and furniture, created by master craftsmen and woodworkers around Australia, and made exclusively from sustainably sourced native Australian timbers. 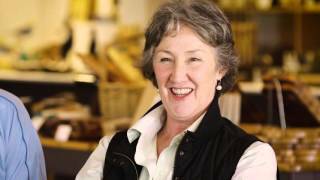 Australian Woodwork is family owned and has been doing business for over 15 years. They are 100 per cent Australian made and owned, and accredited by the Australian Made Campaign certification.